Did you know that letter-writing is still a thing? That people still take the time and effort to put words on paper, hand-written words, and mail them to friends and loved ones? Recently, I read a blog from a teacher who still teaches her students the art of letter writing. And, let’s be honest, it is an art. Unlike texts or emails or Facebook posts or Twitter or anything else in this digital world of ours, letters are an art. They reach into the soul of the receiver. Because, value was placed in the letter. Time, thought, effort. Dare I say, love? When was the last time you received a letter? How did it make you feel? Can I tell you about a group of children that love receiving letters? And each one they receive is someone telling them that they’re worth it. They’re worth the time. Worth the effort. 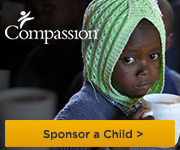 The children are those sponsored through Compassion International. Compassion understands another level need the children have. A need that goes beyond money to buy necessities or pay for school. Both are important, but we know human beings need something more than survival needs. And letters help these children thrive. They connect human to human. Life to life. You’re asking yourself, so how does this change the world? Sure, it helps that one child, maybe a few children, but the world? When you’re surviving, where’s your focus? Continuing to survive, right? When you’re thriving, where’s your focus? You’re one letter, followed by another. Because once you connect with a child through a letter, you’ll keep wanting to write them. Keep feeding into their thriving mode. Not because you’re consciously thinking about thriving, but because life to life connection is addictive. What do you say? Ready to change the world? It starts with a letter. It starts with a commitment to a child. If you look at the right-hand side of my blog, you’ll see one that will connect you with a child. Or, you can go directly to Compassion’s website. Need more convincing on the power of letter writing? Compassion has a great article on the 18 Reasons to Write a Letter to Your Child. Give it a read. Then, start. A marvelous and important post. I’m honored to be included. Thank you! Thank you! And thank you for reminding all of us of the great fun letter writing can be.